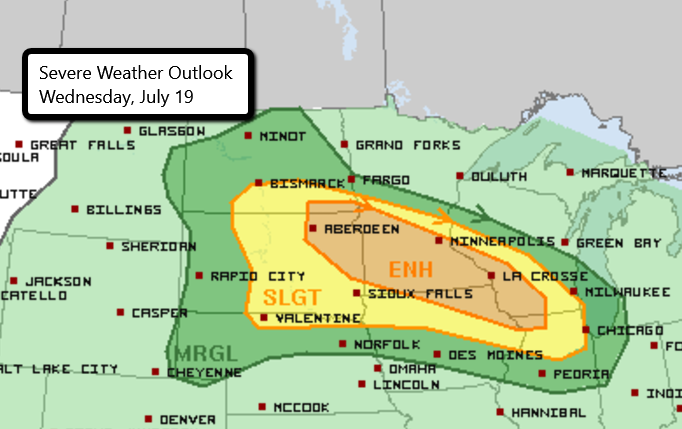 There is an Enhanced Risk for severe weather later today from parts of eastern North and South Dakota, through southern Minnesota, and into parts of southern Wisconsin and extreme northwestern Illinois. 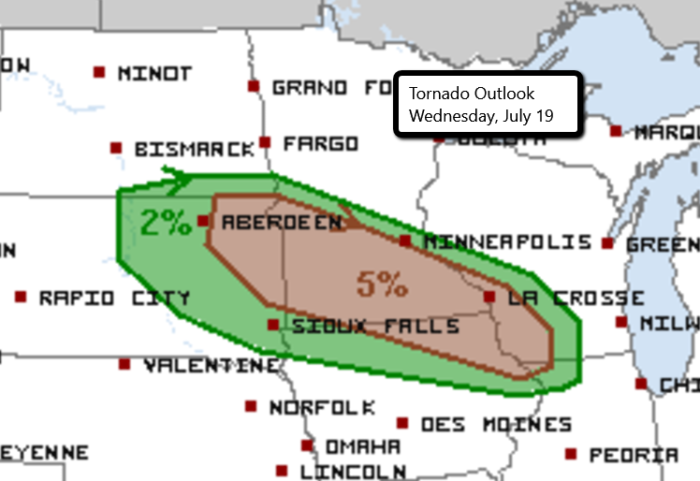 Major population areas that could be impacted by severe weather today include the Twin Cities of Minneapolis and St. Paul in Minnesota, Madison, WI, and Aberdeen, SD. 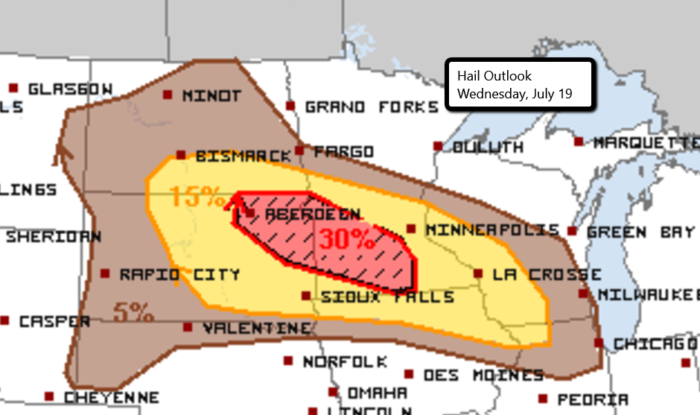 Strong storms will begin to develop late this afternoon with an initial threat for very large hail, damaging wind gusts, and a few tornadoes. 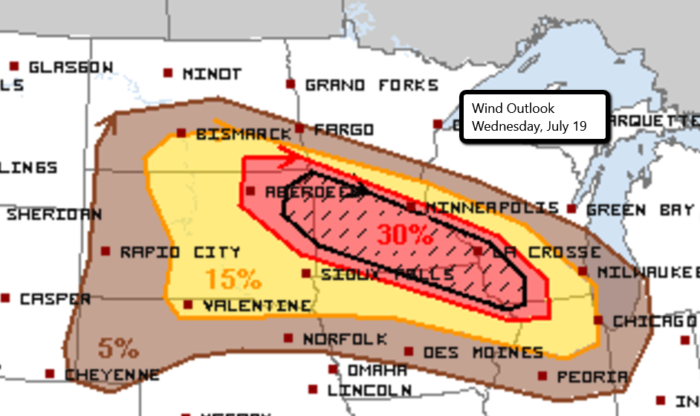 This activity is expected to develop into an MCS and slide across southern Minnesota and Wisconsin tonight with damaging wind gusts presenting the greatest threat. Stay tuned for updates on Twitter! Watch live chase streams here.